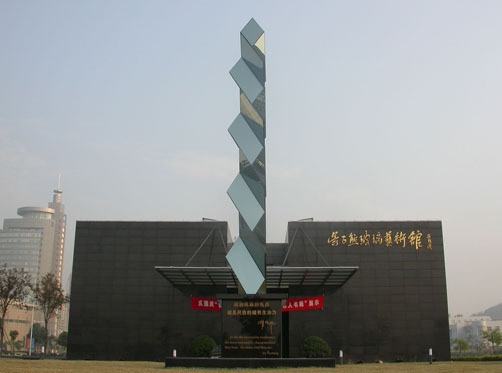 Wu Zi Xiong Glass Art Gallery, Taizhou, Zhejiang, China. ETERNAL CYCLE: GLASS ROAD, c 2006, plate glass & stainless steel, 24'h. x 4' x 4' Wu Zi Xiong Glass Art Gallery, Taizhou, Zhejiang, China.